Open drum cable reel with a sturdy steel frame and carry handle. Made from non-recycled material the product is tough and durable. Maximum load 3120 watt. Also fitted with a thermal cut-out to prevent overloading. 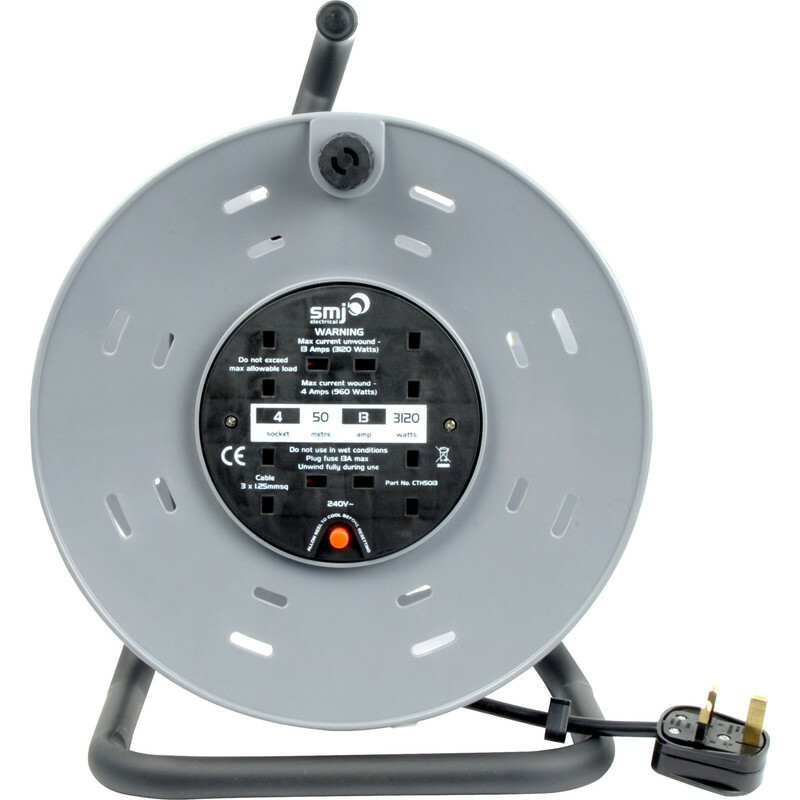 4 Socket 13A Heavy Duty Open Cable Reel 50m 240V is rated 4.7 out of 5 by 55. Rated 5 out of 5 by Daveboy64 from good value Light weight and easy to use. A bit stiff to wind and unwind to start with, but eases up with use. Fair quality for the price. Rated 5 out of 5 by ERDOGAN from Great extension cable Bought and used with no problems. Rated 5 out of 5 by Pops73 from Great extension to the family Nice and long easy roll up. Great for the garden and garage. Rated 4 out of 5 by Roy24 from Cable reel (really) Plastic reel is certainly not heavy duty. Rated 5 out of 5 by Daystar from Just the job Just what I needed to replace my shorter lead. Good quality and value for money.